What’s better than a good birthday treat? You can celebrate your 20th anniversary with champagne or more champagne or even champagne showers, but these kind of things don’t suit a stylish brand as Parmigiani Fleurier. A brand like this marks its 20th anniversary with a present to the world of watches and remarks this happening with gold. Parmigiani Fleurier is unveiling the Tonda Chronor Anniversaire, its new and first integrated chronograph movement, a feature in watchmaking that very few of today’s manufactures are capable of achieving. 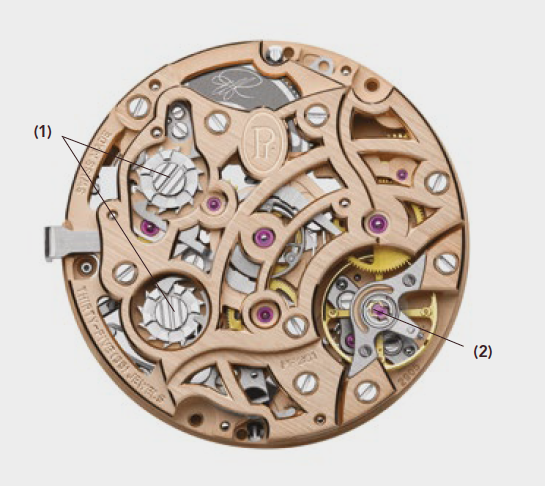 An integrated chronograph movement is a clean-sheet design, no chrono modules are added to an existing movement. Therefor an integrated chronograph will have a greater action and feeling on the pushers and shows a much smoother action of the chrono itself. With its first Anniversary model featuring a gold movement, Parmigiani Fleurier pays tribute to the tradition of the chronograph. 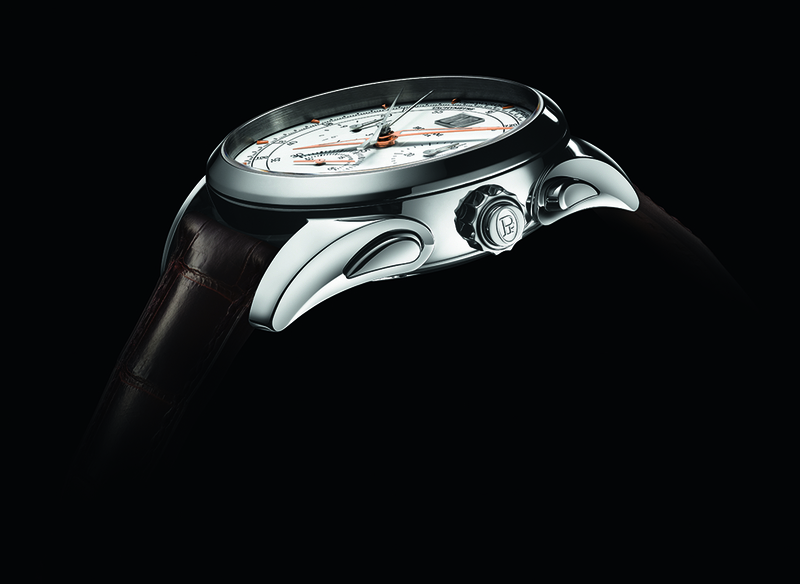 The masterpiece is a reflection of the development as a prestigious manufacture. 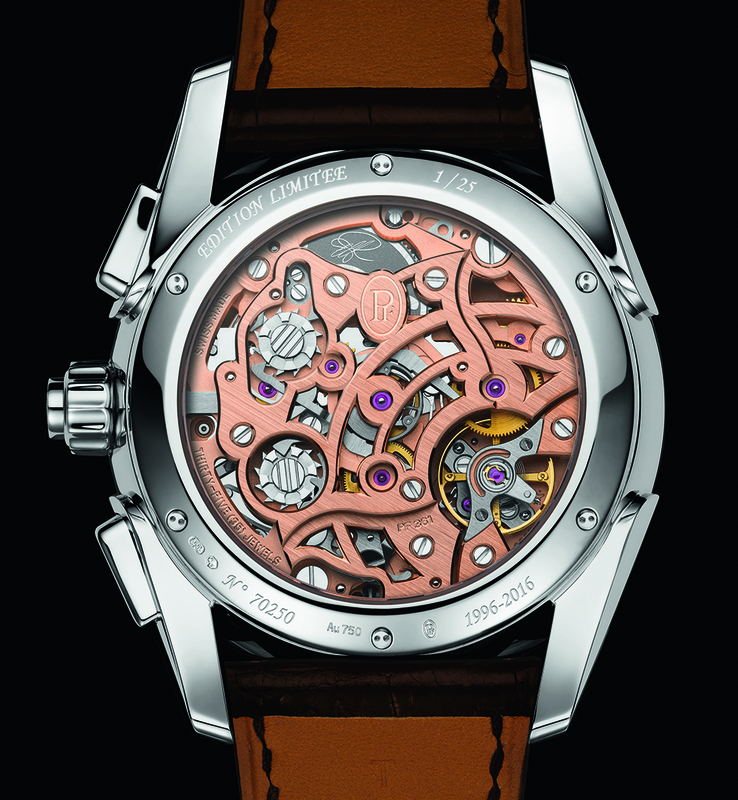 This manually wound movement includes a chronograph, a split second function and a large date, all on the same main plate. This movement PF361 encloses many cutting edge developments designed to increase its reliability which are the demonstration of a watchmaking industry at the height of its talents. The higher the oscillation frequency, the more accurate the chronograph. A frequency of 5 Hertz, very rare for such a calibre, means that the chronograph’s seconds hand makes ten jumps or steps per second, thus enabling a precision to the 10th of second. Its rate is influenced by external factors, such as gravity or impacts, to a lesser degree and the hand moves with a gentle fluidity, unlike the more staccato movements of a chronograph with a lower frequency. The movement is organised around a central column wheel which is the nerve centre of the chronograph, the part which synchronises all its elements. This component is more difficult to create and more precious than a simple cam, and lends the movement an elegance that can only come from this level of expertise. The column wheel is also perceptibly smoother when operating. This is referred to as a chronograph’s activation ergonomics. 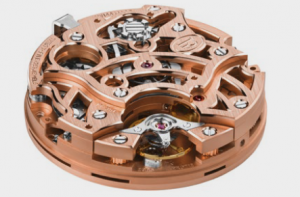 This movement has two column wheels, one to govern the chronograph, the other to drive the split second function in perfect synchronism. The vertical clutch is very difficult to create, but technically more accurate than its sister, the horizontal clutch. The action of this device boosts the accuracy of measurements by enabling the chronograph to start up both immediately and without the slightest initial jolt. With the double attachment point on the cross-through bridge, the component regulating the movement, the balance, is more stable and robust. Its operation is not disrupted following an impact, a desirable attribute since the chronograph is, above all, a piece of sports equipment. On the other hand, this cross-through bridge has been designed so that its height can be adjusted, to adapt it very precisely to the rest of the movement. The precision of the assembly is thus complete. Guys we are talking about only 20 years as a manufacture, in the world of watches they are “newborns”. 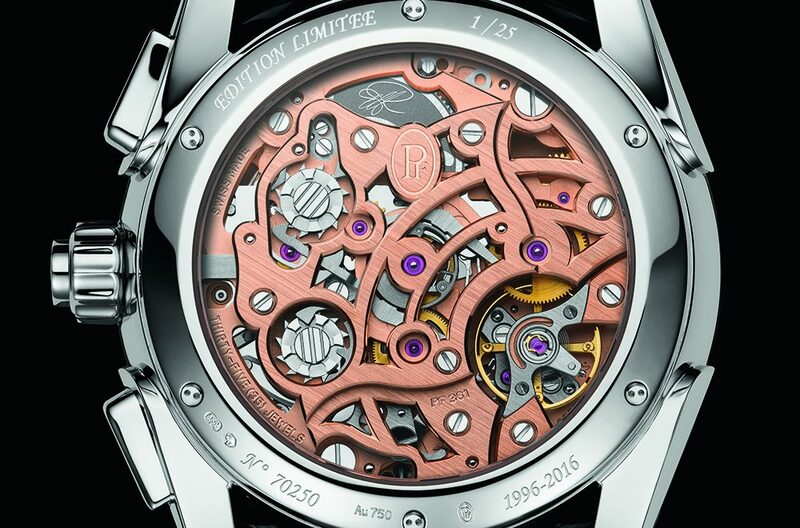 But thats a thing that fascinates us about Parmigiani Fleurier, as a brand they are mastering and producing such great technics better known as “the art of watchmaking”. From dial to movement they are mastering both old and news techniques. With a heritage of only 20 years and making icons like the ‘Tonda’ and in-house capacities this is more than a watch brand. 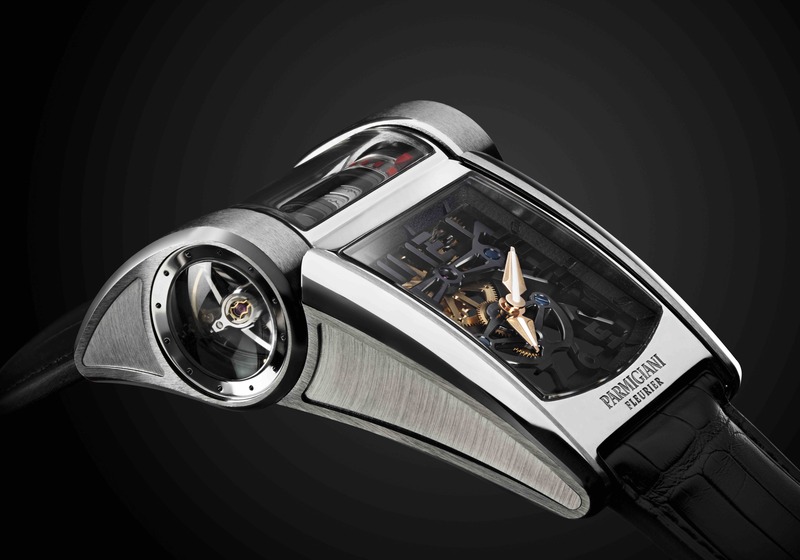 Parmigiani Fleurier could become an icon as a brand. Parmigiani Fleurier has 155 years to their 175th anniversary and I’m sure by then, they are capable to make an even more elegant and stylish grand compilation than Patek did. 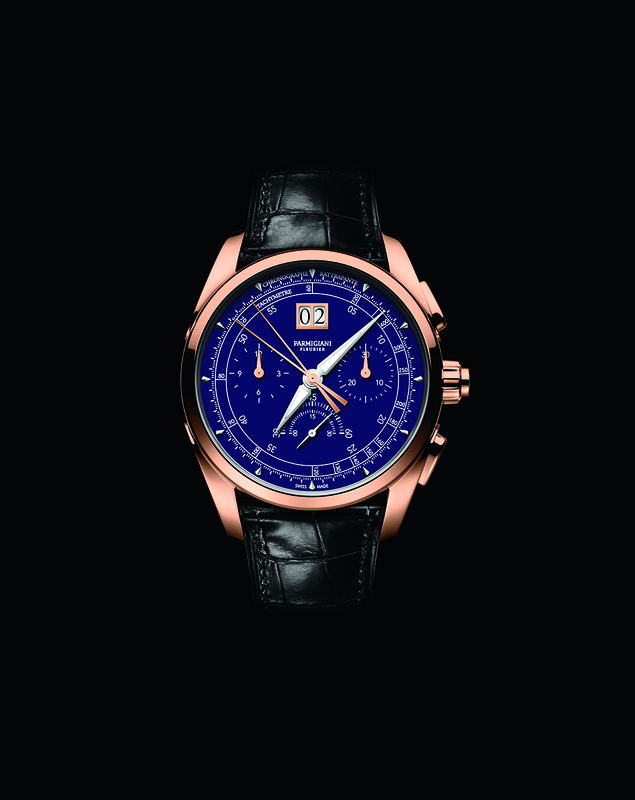 The launch of its first integrated chronograph coincides with the 20th anniversary of the Parmigiani Fleurier brand. Christened ‘Tonda Chronor Anniversaire’, this first model in a long future line comprises a gold movement to highlight its prestige. Successfully manufacturing a movement this complex from gold demonstrates an imposing level of expertise. 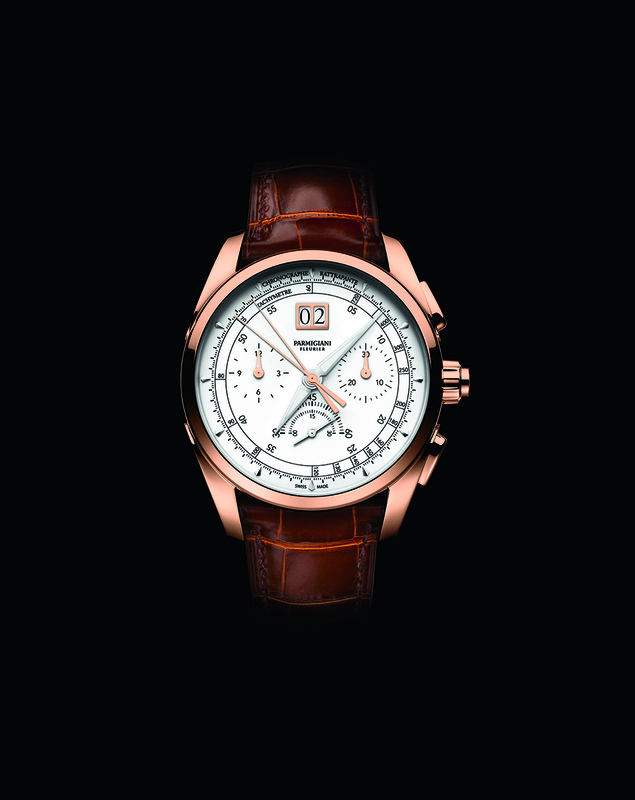 The Tonda Chronor Anniversaire is available with either a white gold or rose gold case of 42.10 mm, each of which will be produced in a limited run of 25 pieces to mark this anniversary. The dials feature ‘grand feu’ enamel in two shades: white or ‘Royal Blue’. Another design feature, the ardillon buckle takes the shape of Parmigiani Fleurier’s iconic lug. The alligator leather straps are exclusively made by Hermès. As a grand exclusivity for this Anniversary model, Michel Parmigiani’s signature is featured on the barrel’s drum and surrounded by a myriad of lug shapes, representative of Parmigiani Fleurier’s watch profile. This signature and the elements surrounding it were not engraved but on the contrary brought out, meaning that the whole surface surrounding them was lowered with a laser, allowing the emblems to stand emphasized. This constellation of symbols is unveiled gradually behind the openworked gold movement, as the barrel spins gently on its axis. We can’t wait to celebrate the other anniversaries of Parmigiani.